Haven has worked several events drawing digital fashion sketches for Fashion icon, Michael Kors in NYC. Haven's first job drawing digitally back in 2012 using the original Galaxy Note. 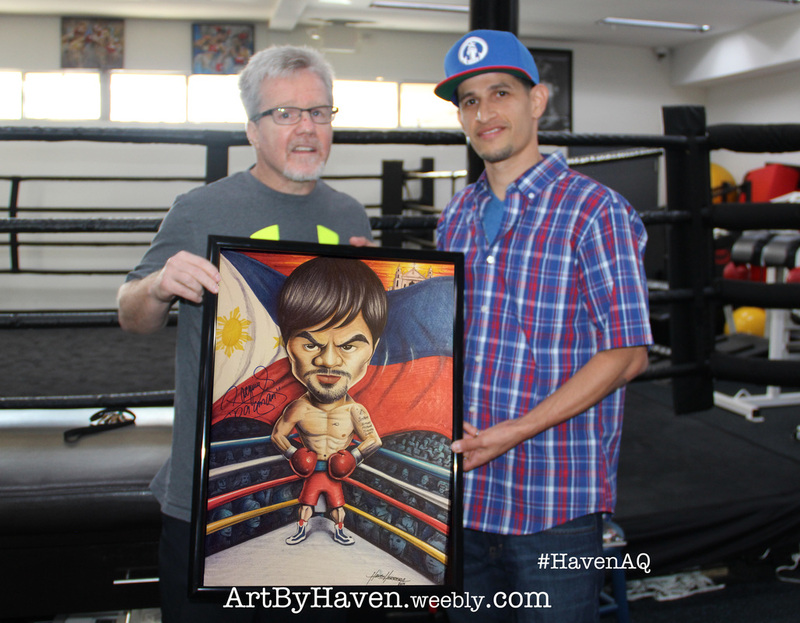 Haven's caricature of Manny "Pacman" Pacquiao can be seen in the World famous Wild Card Gym in Hollywood, where World Champion Manny Pacquiao trains with Legendary coach, Freddie Roach. They told Haven that his rendition of Manny is the best art they have ever received. As a thank you, Manny Pacquiao signed 6 prints of the artwork for Haven. These limited edition autographed prints are available in Haven's online store (or by directly emailing Haven in the CONTACT US section).